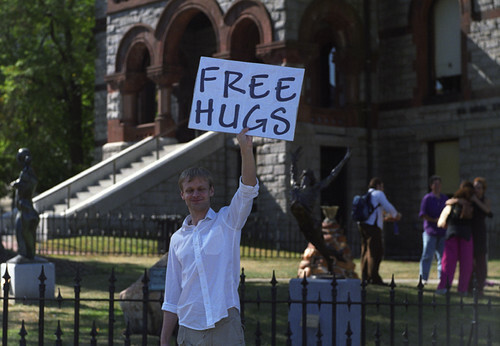 Free Hugs!! !, originally uploaded by brad : shimmin. I'm not big on public displays of affection, but everyone needs a hug every once in a while.